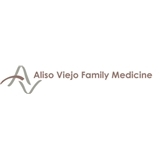 AV Family Medicine & Urgent Care (Laguna Hills) - Book Appointment Online! Welcome to AV Family Medicine & Urgent Care! Our clinic provides quality healthcare to South Orange County residents with short wait times, unlike most emergency rooms. We utilize the most modern computerized electronic health record system for every patient. Our physicians and nurse practitioners are board certified and are ready to take care of your needs. You may be seen by Dr Leung or one of the other providers at the clinic. We specialize in family medicine and primary care with a focus on preventive medicine. We also provide immediate attention to walk-in patients as well as by appointment. We are part of Greater Newport Physicians (GNP) HMO network. You can assign us as your primary care provider (PCP) or if you already have a PCP, you can see us for urgent care when your PCP cannot see you.